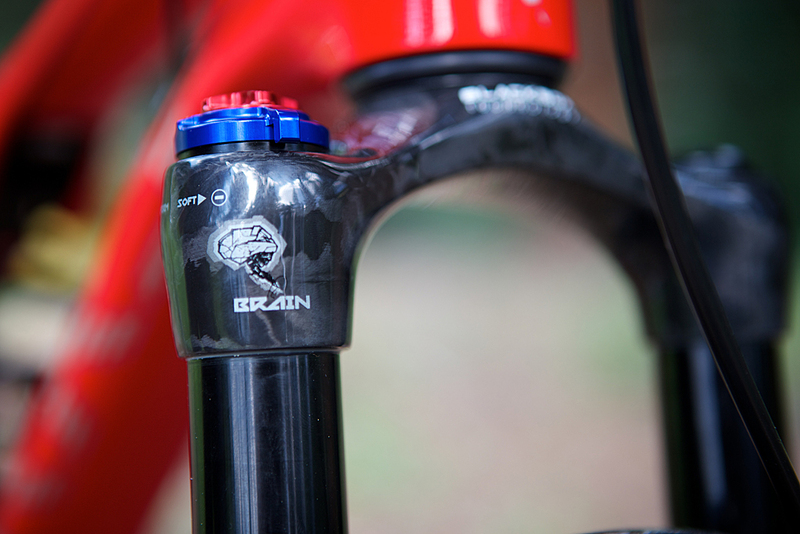 The Epic is a pioneer: the first XC race bike with suspension both front and rear that really pedalled like a hardtail when it launched 10 years ago, thanks to its innovative Brain technology. 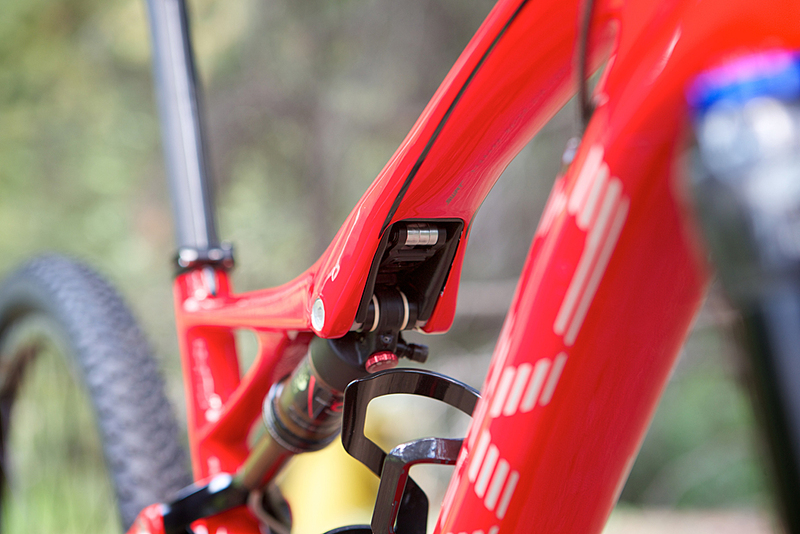 It’s now Specialized’s best-selling bike (of any kind) in the US and the new incarnations for 2014 are crammed full of the latest technology and a unique solution to storing your tools. There are now two flagship Epics: the S-Works Epic and the Epic World Cup. The latter is stiffer to pedal, with shorter travel and steeper geometry than the standard version, making it a real XC racer’s bike, a competition weapon and primarily of interest to those (lucky) people who make a career out of riding bikes. We’re more interested in the regular version, designed for enthusiastic racers, marathon riders and people who just want to spend all day on their bikes. There are no major geometry changes to this year’s Epic, but that’s not to say it hasn’t been completely reworked. In fact, it looks totally different — all the cabling is now internal, the frame has been redesigned to make the chainstays shorter than last year’s bike, and the shock is raised a little to accommodate the new SWAT kit (more on that later). At the back the bike is now 16mm narrower to prevent your heels striking the chainstays (we didn’t strike). There’s also a new upper link with concentric pivots, which Specialized says is much stiffer than the old design, and this reconfiguration has allowed Spesh to make the seatstays lighter. Riding the bike on the dusty, rocky trails of Durango in Colorado those claims seem justified, giving loads of confidence in the corners despite the scanty 100mm travel. The Brain has a unique feel to it as the shock opens and closes with terrain changes — it’s still not completely seamless, as there’s a feeling it drops into the travel while it opens. It’s a very subtle sensation though, especially with the threshold tuned to its soft setting, and the bike feels very well balanced because the fork also has a Brain. For trail riding I found the bike worked best just one click from fully open, because it climbed so well anyway — the Epic feels like a hardtail when you climb in the saddle; then you hit a technical rocky section and the back end opens up to let the wheel move out the way and not impede your progress. It’s certainly helped by its scanty weight: the top-of-the-range World Cup version is just 19.6lb (8.9kg) in size large — that’s the same as a Specialized Allez Race road bike. The SWAT kit is a little emergency fix kit so you can ditch the pack and avoid taping spares and tubes to your beautiful bike. It includes two bottle cages (amazingly they do still fit into the front triangle), space for a CO2 canister, spare tube and a tyre lever. Then inside the fork steerer top cap there’s a chain breaker, driven by a mini-tool that fits under the top tube. The Brain controls the way the Epic rides. 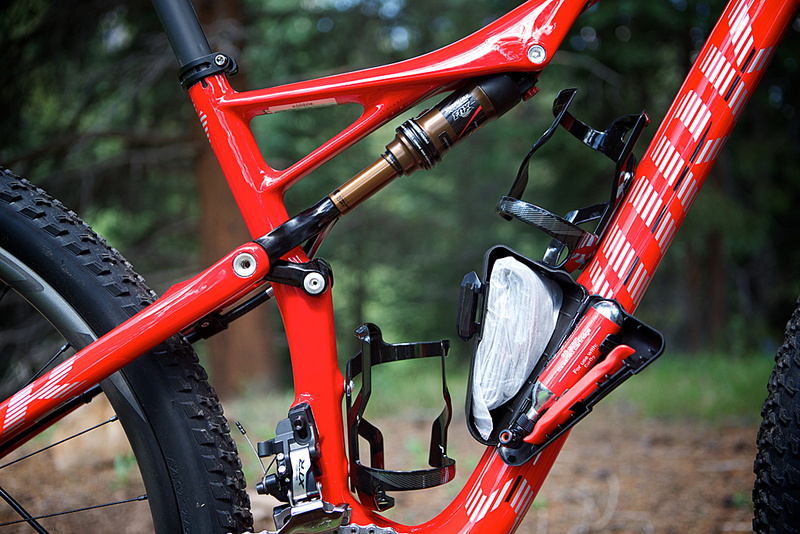 A form of adaptive suspension, it’s a little remote chamber that sits on the seatstay and works in tandem with the main shock. It works by controlling oil flow: ride along something flat and smooth and oil flow is restricted through the Brain; the suspension doesn’t move. Hit something hard when the terrain changes and the oil inside overcomes the inertia valve, letting the oil flow freely and opening up the travel. For 2014 the Brain is a lot simpler to set up and use, the number of clicks has been reduced from 17 clicks to five, but with nearly the same range of adjustment. We heartily approve of the process because it still seems easy to find the right level of support. This year the remote chamber is smaller, which Specialized says helps the shock transfer more smoothly between open and shut. This test appeared in the October edition of MBR. For more Specialized news and reviews from MBR, click here.